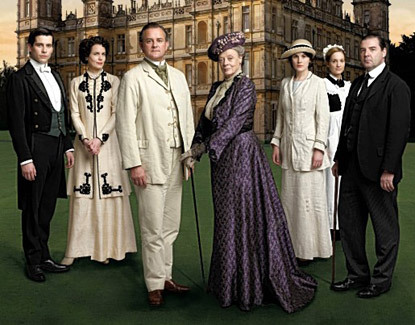 I saw the first episode of the first season of Downton Abbey way back in May 2011, when I was visiting Australia. And I watched it with ad breaks. Maybe that coloured my viewing experience, because I never got back to the show until the last few weeks. I kept hearing about the series, here and there. And I can’t resist a really good British historical drama at the best of times. Then I heard there were some really good romances in it, and I was sold. I started watching it in my infinite spare time, got hooked and started making time to watch it, and ended up binging on the two seasons to date, plus the Christmas Special, while Mark was on the road wrestling. The first draft of Blood Stone got a little delayed as a result (but now I’m hooked on that, so no worries). There are some great romances in the series, including the one between Mary and Matthew, and a nice little rags/riches romance between the earl’s daughter, Sybil, and the chauffeur, Tom Branson. The one that has lingered most in my memory — that keeps popping up when I least expect it — is the one between Anna and Bates. catch up with him: He’s put on trial for murder and found guilty, while Anna sits in the court and watches. That’s the moment I keep coming back to. That’s the pulse pause moment, right there. Bates isn’t exactly hero material — not phsyically. He’s overweight, uses a cane, and doesn’t tend to talk unless spoken to. But he’s an intelligent man. A thinker. And there’s a lot going on behind his eyes. You get the impression that he’s holding a lot in. He never shows emotion…except for one telling moment in the first episode when he thought he was going to lose his job, and even then, he broke down in private. But when he does get into highly emotional situations and still stays in control it looks like he has the capacity to explode with high emotions if only he’d let himself. It’s that potential that makes him so interesting. m come hell or high water. And she did, and both hell and the high tide arrived. And she still loves him unconditionally. It was the moment in court when they announced Bate’s death sentence that I keep going back to. Of course Anna was almost hysterical with despair. 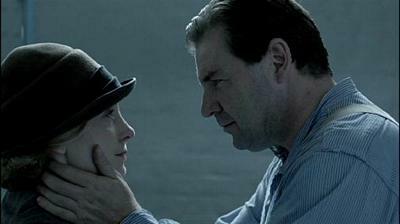 But it was Bates’ reaction that caught in my chest and squeezed hard. They started dragging him away, and he grabbed for the dock railing. “Anna.” Just the one word, but it was so full of pain and emotion that it wrenched at your gut. Bates had let go the controls and was letting it all hang out for the world to see. He was about to die. He had nothing to lose. As pulse pause moments go, I don’t think there’s too many that beat it.